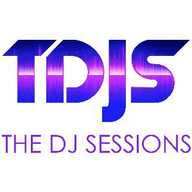 The DJ Sessions "Official Site"
The DJ Sessions brings to you the best local, national, and world renowned DJ's playing live sets. We go LIVE every Wednesday at 5pm PST. Look for our "Rooftop Sessions", Club Sessions, and "Late Night" Sessions every month. You can watch the show LIVE at our website www.thedjsessions.com/live or through UStream www.ustream.tv/itvnw. You can also subscribe to both of our podcasts through iTunes by clicking the following The DJ Sessions and The DJ Sessions – Seattle or by using this link in your favorite RSS application – The DJ Sessions on Feedburner and The DJ Sessions – Seattle on Feedburner Look for more cities coming soon. If you would like to appear on The DJ Sessions please click on the link below and fill out all necessary information. Due to the high number of requests all performers that submit will not be selected to play on the shows. ITV LIVE is a FEATURED UStream show. It was recognized by Apple as a New and Noteworthy podcast within two days of it's inception. Below is a listing of our shows. Look for more shows and celebrity appearances coming soon. The DJ Sessions presented by ITV LIVE on Wednesday's starting at 5pm PST brings to you the best local, national, and world renowned DJ's playing live sets for three to five hours. Our resident DJ's will be on the decks for the show. We also feature A-List DJ's on this show and our local DJ's get spin time playing before their interviews and sets. This is always an amazing show. You can also watch us on the go via your mobile device through the free players from those sites. Just download the app for your device to watch on the go. ITV is a half-hour daily television series that features independent artists and businesses. ITV is approved to air on broadcast tv stations in ten cities. You can watch it there or right here on our website, subscribe to the shows through the iTunes Music Store, and download it to your iPod/iPhone/iPad. Featuring regional art, business and culture, ITV highlights the best of the independent artists and businesses with an active and energetic style. Segments in the show include live performances, behind-the-scenes reporting, and interviews with artists, designers and entrepreneurs. Shot on location, ITV will give viewers an informative look at the latest news and cutting edge trends in the region.